I've never made many bones about the fact that I'm a writer, not necessarily a know-it-all expert. 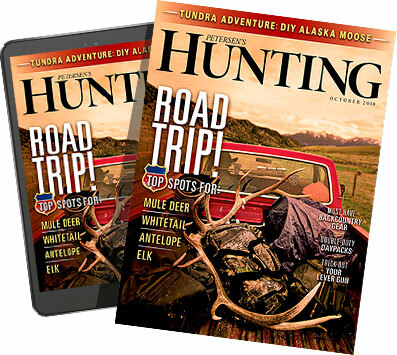 Coming to hunting as a teenager without anyone in my household to guide me, I've actively sought out â€” and listened to â€” wise mentors who are far more knowledgeable than I am about the critters that roam in the woods. Especially when it comes to chasing spring turkeys, a challenging hunting endeavor that has caused me to rely on time honored advice gained from a quartet of turkey hunting friends who have mentored me over the years, a group that includes my late guide friend J.J. Kent. As the current turkey season bears down on the calendar, I'm reminded of some solid hunting strategies as I take a look at notes I've jotted down over the years, teachings that remind me that a springtime hunt often comes down more to my skills as a woodsman rather than ability to work a call. To find turkeys each spring, put your eyes to good use, first by using online Intel like Google Earth or your Smartphone mapping apps to locate spots where turkeys might tend to hang out. What you're looking for with these aerial photos and topographic maps are such things as creek and river bottoms, field edges, a meadow off of a creek, barren fencelines and flats that are devoid of heavy vegetation. Ditto for areas of oak trees and other spots of mast production, not to mention wheat fields and/or water sources in arid country where Rios and Merriam's might roam. In short, you're searching for likely areas where a turkey might roost, might roam and might answer the call to reproduce each spring. Once you find such spots, where the practice is legal, you might consider setting up several game cameras to try and spy on where the birds are coming from and going to. As spring seasons approach, get out and use your ears to hear when and where gobblers are sounding off and testing their vocal chords. By listening for loudmouthed longbeards, especially on warm days with little wind, you can gain some knowledge for where the birds like to be on your hunting property. A word of caution here is this â€” you want to listen, not call in the days leading up to the season. As fun as it is to work a box call, a friction call or a diaphragm call - all in an effort to fire up a gobbler and to get him to sound off in response - you also run the risk of educating that bird and reducing your chances to kill him once the season begins. Why is that? Because his God-given instincts tell that tom to come strutting in, looking for the location of that hen making winsome sounds. If he doesn't find her - or worse yet, if he finds you outside of hunting season - it might be that much more difficult to tag that bird when the season begins. When you have an idea of where turkeys are living on the land you're hunting, a key factor in success then becomes figuring out where the birds are roosting and where they are feeding and watering on a daily basis. For the roost location, look in creek bottoms and low areas under mature hardwood trees where a wing feather or two may have become dislodged on the daily fly up and fly down. Also be on the look-out for breast feathers that have floated to the ground as the birds preen themselves up in a tree, and of course, for any droppings that have fallen to the ground underneath a roost tree. Keep in mind that while roost trees are tall and mature in many locations, out West in the mountains, the Great Plains and in Texas, roosting spots can be just about anywhere a longbeard can find them, even if that's on top of a barn or at the top of a telephone pole. Once you find where birds roost in the overnight hours â€” which can change from day to day back east while remaining more constant out west â€” you'll next want to find the local chow hall where turkeys are feeding. Admittedly, this can be difficult since turkeys will eat a wide variety of things from seeds to pecans to acorns to insects and even small creatures like worms and tiny snakes. "Like a big yard bird, turkeys are going to pick at anything and everything," said my late friend Kent. Once a hunter locates likely ground where longbeards might be in their neck of the woods, and he has a feel for where they are roosting and feeding, it's time to put some boot leather down to find the actual on-the-ground locations where birds are traveling from Point A to Point B each day. In this step, you're actually looking for physical sign like tracks, droppings, feathers on the ground and even strut marks where gobblers are waltzing back and forth in full strut to impress the ladies. "It's kind of like deer hunting, you'll want to look on game trails, look on dirt roads, etc.," said Kent. "You want to see where the tracks are, where they are coming from, where they are going to. And all of this is easier after a rain." Once you find the travel routes that turkeys are using, you've just about got a complete mental picture nailed down in terms of what to do come opening day. After you've gained a thorough understanding for the sleeping, feeding and movement patterns of turkeys on the land that you hunt, all that's left to do is to carefully put a bird to bed on the evening prior to your hunt. To do that â€” to roost the bird, if you will â€” you'll want to travel to your hunting ground during the last hour or so of daylight, positioning yourself where you can hear a bird sound off and gobble once he flies up into a tree. You're likely to hear the birds get a bit noisy as they travel through the woods to their roosting spots prior to fly up. And if you're close enough, you'll probably hear the noise of their wings as they fly up into the tree. But once the birds are comfortable, an old gobbler almost can't help himself and is likely to sound off with a gobble or two as nighttime begins to fall. And that's the perfect tip-off as to the area that you need to be waiting in close proximity to the next morning when that bird flies down to the ground. If you've scouted well and done your homework, then you're a leg up on tagging that bird the following dawn. While issuing a can't refuse invitation to Mr. Johnny Longbeard to come and make a visit to your dinner table.